Cornelia Meinert, researcher at the Institute of Chemistry in Nice, has received an ERC Starting Grant, the award issued by the European Research Council. She will soon be given a budget of 1.5 million euros to put together her own team of researchers. Her specialisation is homochirality of RNA (Ribonucleic Acid). Cornelia Meinert studies the properties of matter and notably the ‘natural’ asymmetry which is found in many biological or geological structures. Her work has today earnt her the honour of a CNRS (National Centre for Scientific Research) bronze medal, which will be presented to her in November. This distinction represents the support from the CNRS to pursue well-engaged and productive research. She has also won over the grail of researchers, an ERC Starting Grant and a 1.5 million euro European grant to pursue her work within the Institute of Chemistry in Nice. Cornelia, who is of German origin, began her scientific studies in 1999 at the University of Rostock. 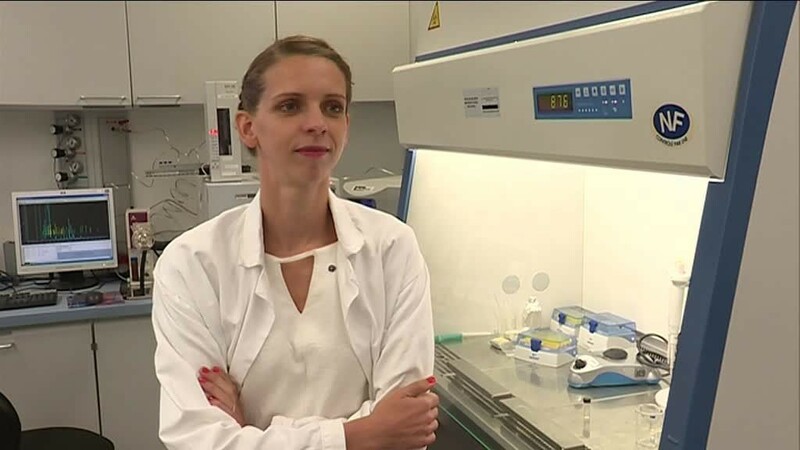 She obtained her PHD at the University of Leipzig in 2011 before coming to France to do her post-doctorate at the Institute of Chemistry in Nice. She passed the exam to become researcher at the CNRS and so pursued her work at the Institute of Chemistry. Her experiments currently combine the approaches of spectroscopy (the study of electromagnetic rays that are emitted, absorbed or diffused by the matter) and those of analytical chemistry, more specifically the analysis of products in chemistry. This means the identification and characterisation of chemical substances whether they are known or not. The latest results obtained by Cornelia revealed the presence of ribose in an interstellar ice model which opened up a new approach for her research on the origin of RNA homochirality. Ribose is an essential sugar in the organism which is part of the composition of the RNA nucleotides. Finding this ribose in an interstellar sample could therefore explain the origin of life on Earth.